← TAKE ACTION to get Congestion Pricing NOW! 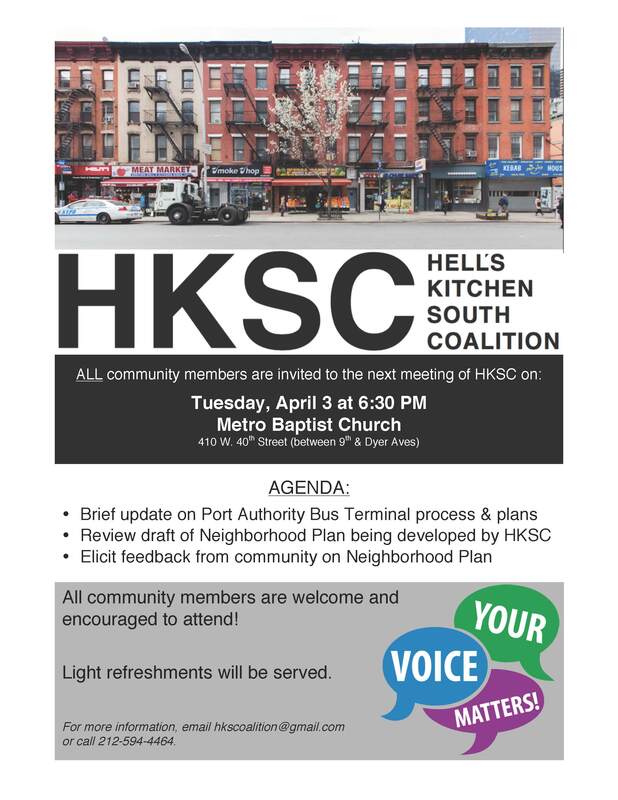 This is the meeting you do not want to miss: the Hell’s Kitchen South Coalition will give an update on the Port Authority plans and unveil its own plan for redeveloping the district. This entry was posted in CHEKPEDS, Clean Air, Events, Transit and tagged buses, PANYNJ, pedestrian, safety. Bookmark the permalink.